Join PENCIL and Metro Schools on a Discover MNPS school tour to see for yourself the great academic strides happening in our district. Discover MNPS is a new campaign created in collaboration with MNPS’ community partner PENCIL to introduce community members to neighborhood schools and the impactful work taking place in public education. Discover MNPS invites members of the community to tour facilities, meet teachers and staff members, and see the learning process in action by visiting classrooms. Discover MNPS tours are held four times a year. Each tour location will be in a different school and cluster visitors can learn about the district’s diverse academic offerings and unique school cultures. When: March 19, 9:30 - 11 a.m.
MNPS students can choose from a range of academic and creative programs. MNPS offers numerous Pre-K classes, as well as specialty high schools designed to help students prepare for college, career and life. For the 2018-19 school year, MNPS is offering its first Early College High School Program, which enrolled students can fast track their college plans or begin building a career by earning a high school diploma and college associate degree by the 12th grade – at no cost to families. Gifted and talented students participate in the ENCORE program, which provides additional enrichment. MNPS high schools have implemented career and theme-based academies to provide rigorous and specialized learning opportunities for students as well as AP and advanced academic courses. MNPS is undertaking a teaching and learning transformation in each of our middle schools. Starting with the 2017-18 school year, MNPS will implement STEAM (science, technology, engineering, arts and math) curriculum into all middle schools. What else is new this year at MNPS? A new report on quality and access to early education programs across the country recognizes Nashville with its highest designation of gold medal status. n the report, produced by CityHealth, Nashville met all criteria for accessibility, classroom size, teacher-child ratio, teacher education level, local funding, and professional development as well as standards for salary equity. The CMA Foundation is continuing its longstanding commitment to Metro Nashville Public Schools by investing more than $320,000 to support initiatives aimed at ensuring the success of music teachers and students across the district. Metro Schools is receiving a direct grant award of $205,000 as well as funding for a landmark music needs assessment survey that will help shape the future of music education in Metro Schools. 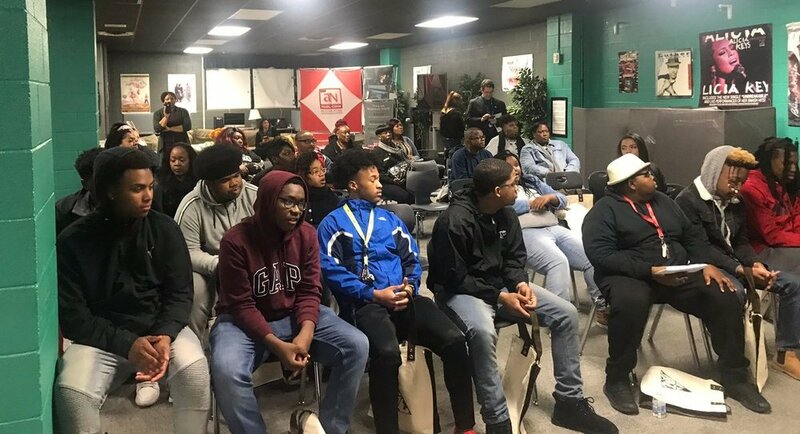 Pearl-Cohn High School launched a unique, cutting-edge partnership with Capitol Christian Music Group, providing students rare access to the inner-workings of a major recording label. The new Bonus Tracks course will expose students to opportunities waiting for them on the other side of high school. Dell Nashville, one of the largest tech employers in the region announced the recipients of its second STEAM Innovation Grant. Two MNPS middle schools have been selected to each receive $5,000 grants to enhance science, technology, engineering, arts and math learning in the classroom. The grant recipients are: Antioch and Croft Middle School.